Gold prices fell by 0.95 per cent to Rs. 25,220 per 10 grams in futures trading today as speculators trimmed positions in tandem with a weak global trend as a strengthening dollar curbed demand for the precious metal. 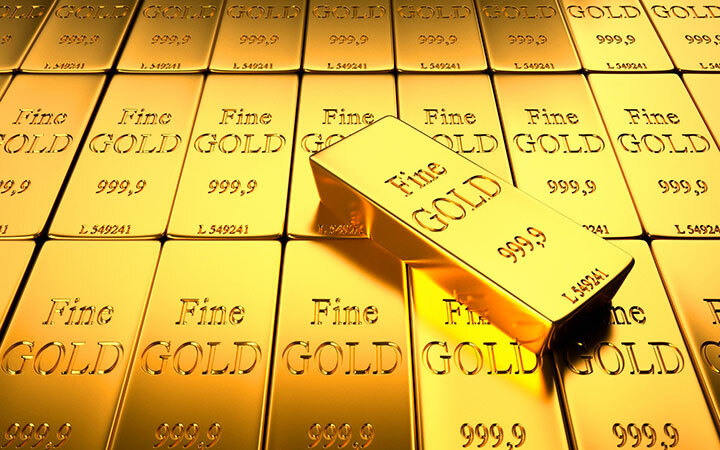 At the Multi Commodity Exchange, gold for delivery in December fell by Rs. 241, or 0.95 per cent, to Rs.25,220 per 10 grams in a business turnover of 3,400 lots. Similarly, the metal for delivery in February next year declined by Rs. 238, or 0.93 per cent, to Rs. 25,415 per 10 grams in 110 lots. Analysts said offloading of positions by speculators in line with a weak global trend where gold held at over four-year lows as surge in dollar curbed demand, mainly kept pressure on gold prices at futures trade. Besides, a weak trend at the domestic spot markets also weighed on prices, they said. At Chennai, gold prices were down by Rs. 110 to Rs. 25,800 per 10 grams in opening trade today. Meanwhile, the metal traded at $1,141.51 in Singapore, the lowest level since April 2010.